a very gifted vocalist from Barbados West Indies, has appeared on television and has had a Top Ten CD on the Rhythm-n-Beach circuit. He has appeared in numerous productions in the Charleston area including the annual Spoleto Festival and Christmas Special. 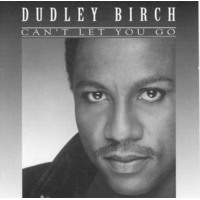 His vocal versatility and quality are 2nd to none and 17 SOUTH is very proud to have Dudley on board. Jon Phillips, saxophone and lead vocals, is a top regional talent having played with Little Anthony & The Imperials, Marshall Tucker, the infamous Darius Rucker, Para Ti and many more famous groups. He is in very high demand in the Charleston area and a featured member of the Charleston Jazz orchestra. has performed for over 100 famous entertainers including Stevie Wonder, Lee Ann Rimes, Josh Groban, James Ingram, Cher, The Temptations, The OJ's, Four Tops, Frank Sinatra & Tony Bennett. Chuck is currently lead trumpet with the Charleston Jazz Orchestra. Phil King, co-leader Trombonist, has a diverse background as a 14 year former member of the Charleston Symphony Orchestra and has also performed with many top entertainers including Darius Rucker, Frankie Valli and The Four Seasons, The Dells, Bob Hope, Pari-Ti, Will Hogue, and Doc Severinsen. Phil is also a member of The Charleston Jazz Orchestra and leads the River City Dixieland Jazz Band. Listen to 17 SOUTH now! Richard Harris White, Keyboards, is one of the most dynamic players in the Charleston area since returning from his successful International jazz tour. Richard has opened for many famous artists such as Brandford Marsalis, Will Downing, Brian McKnight and Alex Bugnon. He has played locally with the Charleston Jazz Orchestra, Loose Fit, Uncle Funcle, the Charlton Singleton Quartet, Bradford Station Band and The Rudy Waltz + others. Eric Penrod, guitar, comes to Charleston from a successful musical career in New Orleans and touring 7 years with the pop group Skinny, where he opened for the Dave Matthews Band, Robert Randolph Band & George Clinton and the P-funk all-stars. Eric has also played with Grammy Award winning keyboard artist and vocalist Billy Beck of the "Ohio Players". Eric can be heard performing his popular solo vocal/guitar stylings at numerous Folly Beach and Charleston clubs such as "Henry's". Tommy Garrett, drummer, has played along side The Four Tops and was a member of the group Shanon & the 9th Row for over fifteen years. 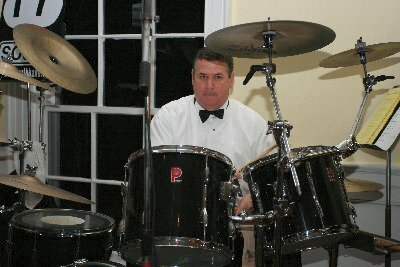 He has played with numerous popular groups in the Charleston area, has a great beat that drives the band and is the Heart and Soul of the 17 SOUTH Band. Brian Reed, bassist, has played with many of the greats including Bob Hope and has toured with many Broadway musicals including "Cats" & "Chicago." Brian is a regular Piccolo Spoleto musician and is also adept at performing pop & jazz. He can be heard weekly with the Gennaro's Jazz Ensemble.